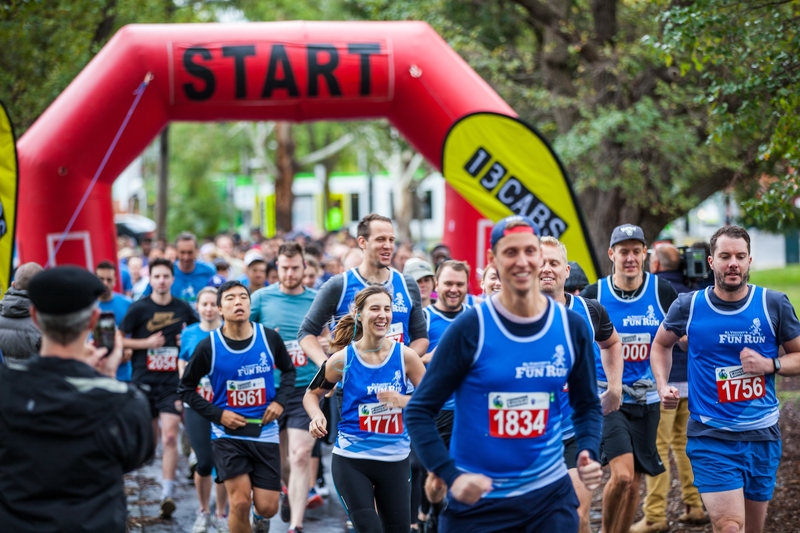 On Sunday, 15th April more than 700 enthusiastic runners and walkers came together to support St Vincent’s Hospital Fun Run 2018. Despite the rain, hundreds of the hospital supporters rallied on the day. After early drizzles in the morning, the weather cleared up, with very mild conditions for the 3km, 6km and 9km run or walk. Participant’s donned their pyjamas to show support of the 57,000 patients treated every year at St Vincent’s Hospital. Participants and their supporters also enjoy a variety of free entertainment on the day, including face-painting, food trucks, a jumping castle and a petting zoo. We’re thrilled to announce we exceeded our fundraising target and raised $70,834 which will help St Vincent’s Hospital provide the best health care across areas such as Neuroscience, Cardiology, Cancer, Mental Health and our Emergency Department, to benefit Victorians now and into the future. Funds raised will ensure St Vincent’s Hospital continue to provide quality services to all patients and stay at the forefront of modern medicine. Funding will be distributed across a number of hospital departments and assist with purchasing equipment and supporting medical research.